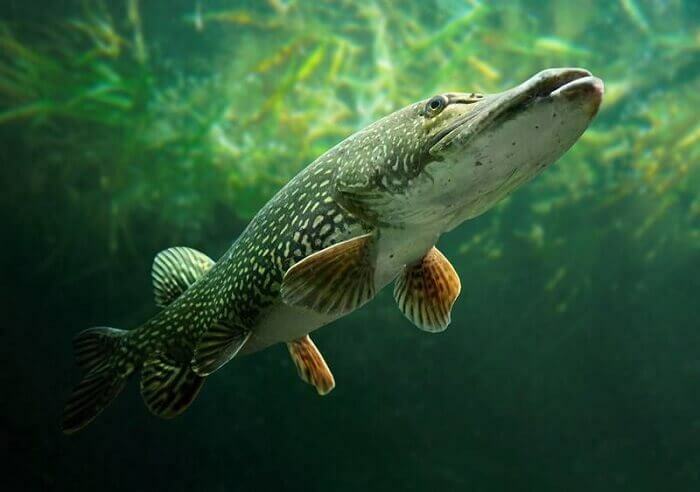 Pike is one of the most famous freshwater fish, inhabiting the territory of Russia. It is of great interest to sport fishing, it is like fishermen-fishers, it is much appreciated in cooking. Even in Russian culture fish pike managed to leave a significant mark by becoming the character of the popular children’s fairy tales and cautionary fables and Proverbs. Today pike not only caught in the wild, but are bred artificially. Pike is the biological family of carnivorous freshwater fish which is only representative of the family schukovyh. This genus includes different classifications from 6 to 8 independent types. (By the way, the armoured pike — a fish of an entirely different biological family and to this pike has no relation). In Russia under the name of pike, a default is commonly understood as a kind of pike common, which is widely distributed in Europe, most of Siberia, Canada and North East USA. The maximum length of a pike reaches 1.5 m and weight up to 35 kg, but in practice individuals greater than 1 m and heavier than 8 kg are extremely rare. The fish has elongated cylindrical body and large head with wide flattened mouth. Body colour is quite variable and highly dependent on the environment in which fish live. And varies not only the color (greenish to brownish) but the pattern (possible spots and stripes). Single fins pike have a yellowish-gray color (often spotted); paired fins are orange. Sexual differences are only visible in the genital area. The lower jaw of the pike noticeably protrudes and is covered with large teeth of different sizes that facilitates a secure grip of the victim. On the upper jaw and smaller teeth directed towards the pharynx, which prevents the escape of the victims of the pike’s mouth. Pike — fish, which trades hunting and absolutely not interested in plant food. It lives in flowing lakes and rivers with a steady flow, but is not found in small stagnant ponds and fast rocky rivers with cold water. Pike prefer to hide near underwater thickets, where it can easily ambush small fish and other of their victims. The basis of the pike’s diet consists of species such as roach, bream, gudgeon, perch, ruff, bream, etc. While pike did not disdain to eat the young of its own kind. In spring and early summer this predator preys on frogs and young crayfish. Large pike can grab the ducklings and small mammals (rats, squirrels, etc. ), for one reason or another find themselves in the water. Known attacks pike on adult ducks. In General, pike are not afraid to hunt large prey. A victim of this predator is quite often the fish, the size of which is 50% and even 60% of the size of most pike. However, the average size of the pike, about half a meter, feed mainly on the many “weed” fish, so this type consistently used in fish farms to destroy small ruff and perch. Like many other predatory fish, pike hunts from ambush, hiding in the thickets of seaweed, how and lunges at his victim. If the ambush failed, pike almost never indulges in the chase. To catch prey, it always swallows with the head, if necessary, turning her in the right direction. Hunting pike helps not only vision, but also very sensitive lateral line. Under natural conditions, females of this species start to breed at age two to three years, males at four years. Spawning starts soon after ice melt when the water temperature does not exceed 3-6 °C. the Females depart in shallow water (depth up to one meter), where they begin to splash noisy and active within the spawning grounds. Each female is accompanied by several males. The female will lay from 17 to 215 thousand eggs. 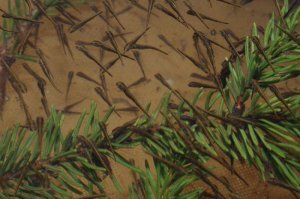 They have a fairly large pike — 3 mm in diameter — and quite sticky, so I often stick to aquatic vegetation. But then most of them sinking to the bottom, where is their further development. As caviar is from the very beginning in shallow water, with a significant drop in water level in the pond, most eggs are killed. For example, it is typical for reservoirs, the water level which is regulated by man and therefore very unstable. The larvae hatch from the eggs during the second week after spawning and are capable of independent feeding, eating microscopic crustaceans. Reaching a length of 12-15 mm, pike goes to the young larvae of carp, which spawns after pike. Young five-centimeter pike finally move on to the fish. Interestingly, river fish pike frequently spawn in lakes zaplavnoe that after the spring floods quickly lose touch with the river. With the shortage of food in such ponds hatched fry grow unevenly. Representatives of the same generation may vary in size in 2 and more times. 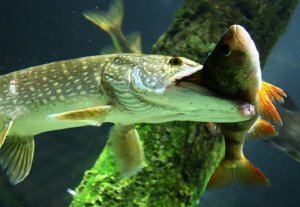 In such circumstances, the food chain is organised on the basis of cannibalism when very small pike feed on plankton and young fish, he thus becoming prey for the last year and older pike. This happens especially often in Yakutia and in the North of Canada, where these pike lakes exist on a permanent basis. In industrial fishing, the fishermen rarely target pike. Usually it is just a good addition to target massive fish. This happens for obvious reasons: the pike is a predator, but because in a balanced food chain of a river or lake it is, by definition, will be much less than other fish. But while sport fishing pike is one of the most coveted trophies, which deliberately prey many fishermen. The desire to catch a pike that is inherent to the sports fishermen, not only because it is a very big fish, but also because it is not so easy to catch. Being a worthy opponent even for the experienced angler, pike it imposes much higher requirements than bream or carp. To catch a pike can only be one who is able to exercise patience, caution and resourcefulness. In addition, the pike family of fish is large in size, so to get her out of the water, sometimes it takes remarkable strength. Finally, this predator is a godsend for fish farms. If you plan to adapt the breeding of a large natural pond, first it is necessary to reduce the population of trash fish — perch, roach, crucian carp. For these purposes, the reservoir run pike one to two years is able to “restore order” in the pond. Also pike can clear the population of commercial fish from the weak and sick individuals. However, always need to be vigilant that the mass pike is not knocked harvesting fish, and in any case you need to catch big pike, harming the fish business. Since ancient times among all the freshwater fish the pike has always been considered a delicacy. No sumptuous feast could not do without one or more meals of pike. Medieval physicians claimed that it was one of the best fish, because it has great usefulness for health. Over the past century, the medical opinion on this matter has not changed significantly, but only found additional scientific substantiation. The flesh of the pike contains many b vitamins (beneficial to the nervous system), potassium (regulates blood pressure), magnesium (good for the heart), phosphorus (affects the brain) and other substances. Like all fish, pike is a dietary product. It only has one percent body fat, but protein as much as 18%. The energy value of pike meat does not exceed 84 kcal per 100 g Thus, the pike is perfect for those who are watching a figure. This fish is a little dry, but tender flesh. Moreover, experts assure that the taste of the meat the better, the bigger the pike. However, a very large fish quite dry, so cook it to saturate with moisture. For example, stew with vegetables, stuffed with bacon, meat and vegetables, cook soup, etc. 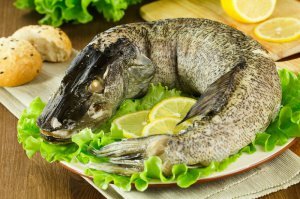 In General, the variety of pike is sufficiently large and the culinary tradition of cooking this fish date back hundreds of years. Pike baked, fried, stewed, boiled, stuffed, allowed to soup, make meatballs, pates, etc. the Only downside of the pike, for which many do not like, is its harmonic. 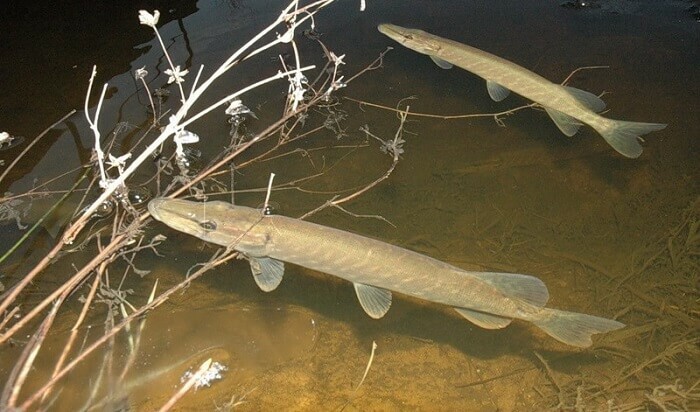 As follows from the description, the pike is a fish of prey, so it cannot be used Malkovich and nursery ponds with carp. Also it is not used in trout ponds. But it is well manifests itself in the natural lakes, rivers and ponds, where a lot of trash fish, which she will eat. 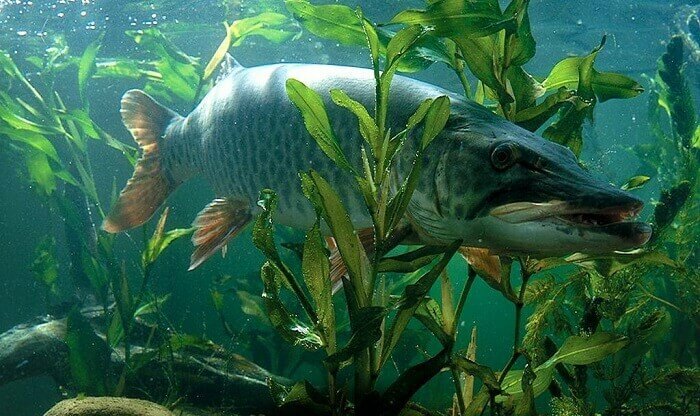 Pike can be successfully breed in lakes with banks abundantly covered with vegetation. In such places is always a lot of small fish here, pike will be easy to hunt. But in poor vegetation waters where little forage fish to successfully breed the pike will not work because of the hunger it eats its own young. In the artificial breeding of pike gaining weight four times faster than in natural conditions. In the abundance of forage fish fingerlings of the pike weigh an average of 400 g, and the individual instances sometimes twice. Breeding of fingerlings is grown in grow-out ponds are usually along with the carp. Many farmers in the following year, leaving only rearing, and all the rest of the livestock are sent for sale. StorageTek pike is allowed to breed in the nursery ponds carp, where they will eat the fry of carp and wild carp. In winter, pike sent in earthen ponds, where it put fifteen to twenty of fingerlings of carp and roach for one pickerel. If fisheries do not own broodstock, to get a young use wild pike from natural reservoirs. Moreover, because of the peculiarities of their physiology on the one female you have to take at least five males. For breeding use of earthen ponds or small ponds with abundant benthic vegetation. Pike will spawn. Larvae from cages catch on the third day after their appearance. Not later than the fifteenth day after hatching, the larvae are sent to grow-out ponds, where they can find food. The larvae in the process of the catch from the spawning grounds left on the underwater vegetation, it is first necessary to remove. Because the reproduction of the pike in ponds is a very troublesome task, more preferably the use of special apparatus in which eggs Semenets and further incubated artificially. Indicators the survival rate of juveniles in grow-out ponds reach an average of about 50%. Optimally to put fry in the same proportion: in ponds where there is an abundance of trash fish — no more than 400 per hectare; where it is small — not more than 250; where it does up to 120 fry. In large reservoirs, coiled every two years, per hectare of water surface drop from three hundred fry of pike. Productivity pike in the second year of cultivation reaches one and a half quintals per hectare.